To lead, organize, coordinate, and guide a wide variety of volunteer activities by synagogue members aimed at “repairing the world” outside the scope of our own synagogue community, and to support local or countywide Federation initiatives like Mitzvah Day as well as National Programs such as the National Gun Violence Prevention Sabbath. Blood Drive – Temple Israel has earned a reputation as one of the most reliable contributors to the Bergen County Blood Center. Twice a year, in the spring and fall, we hold an Interfaith Blood Drive, at which we also can accept “doubles” and platelets donations. 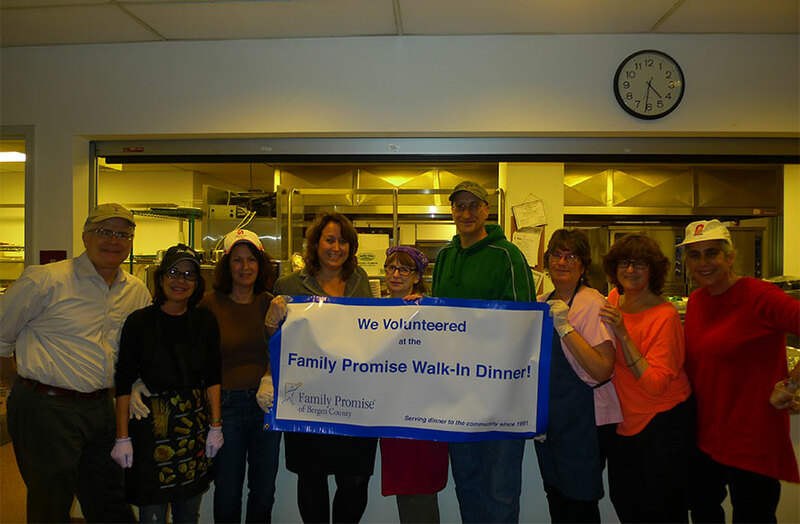 Feeding the Homeless – Temple Israel continues its commitment to help feeding the homeless by participating, four times per year, in the Bergen County Family Promise Walk-Dinner program, the only shelter in Bergen County that feeds the homeless “no questions asked.” Volunteers prepare food in the synagogue kitchen and serve food on-site at the shelter in Hackensack four times a year. Children must be at least 16 years old to participate. National Gun Violence Prevention Sabbath Weekend. Temple Israel has joined places of worship across the nation, the Newtown Foundation and Faiths United to Prevent Gun Violence, a coalition of more than 50 national denominations and faith-based organizations, to remember those who have lost their lives to gunfire, pray for those whose lives have been forever changed because of the loss of a loved one, and to educate one another on proven strategies to reduce gun violence. Past speakers have included Tracy Silna Zur, Chair of the Bergen County Freeholders; and Steve Fulop, mayor of Jersey City. On occasion, we also embark on special projects, which have included a Bone Marrow Registry campaign, a synagogue-wide program supporting a youth village in Rwanda, an Earth Day environmental education program, and an evening celebrating the contributions of immigrants to our synagogue and the wider community. Please call the Temple office at 201-444-9320 if you’d like to participate on the Tikkun Olam committee or get involved with our annual activities of feeding the homeless and the blood drive. Can you spare a few hours per year? 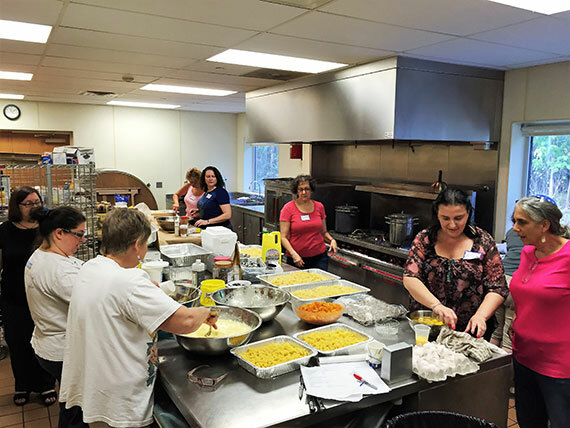 Please volunteer your time for Chesed Community Service. To save one life is to save the entire world, instructs the Talmud. Running an errand for someone who is sick and stuck at home. Providing a ride to a doctor’s appointment to an elderly Temple member no longer able to drive. Cooking or delivering a meal when a family is sitting shiva or dealing with illness. Visiting someone in the hospital who can use some cheering up. Giving someone a ride to Shabbat services. If you have a flexible schedule or a little extra time on your hands, the Chesed Committee needs you.